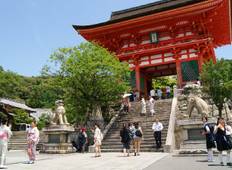 Discover cultural tours in Central Japan in March 2020, visiting places like Tokyo and Kyoto. Book now and save with TourRadar.com! 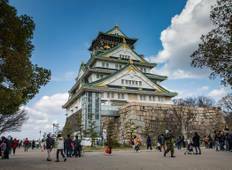 "I loved the tour and Machiko made it all that much better - she was so helpful and..."
"Good overview of Japan and its history. Climbing mt. Fuji was great." "This tour occurred during the flooding last year, so parts of our trip were cancelled,..."
"My first tour ever and my god has it set a benchmark I think no other tour could..."
"We had a fantastic time on the Cherry Blossom tour, we loved Kanazawa and the Hida..."
"Overall, the tour was unforgettable. The highlights: our tour guide, Alan, was amazing..."